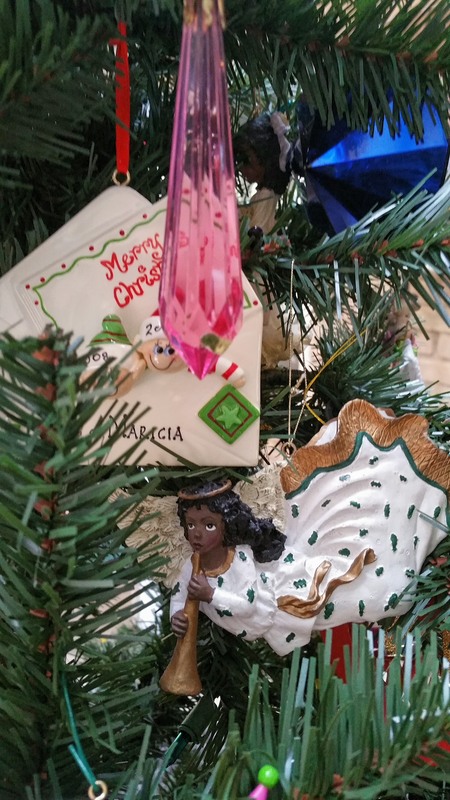 Each ornament on my Christmas tree has a special meaning to me, and if truth be told to my family too. 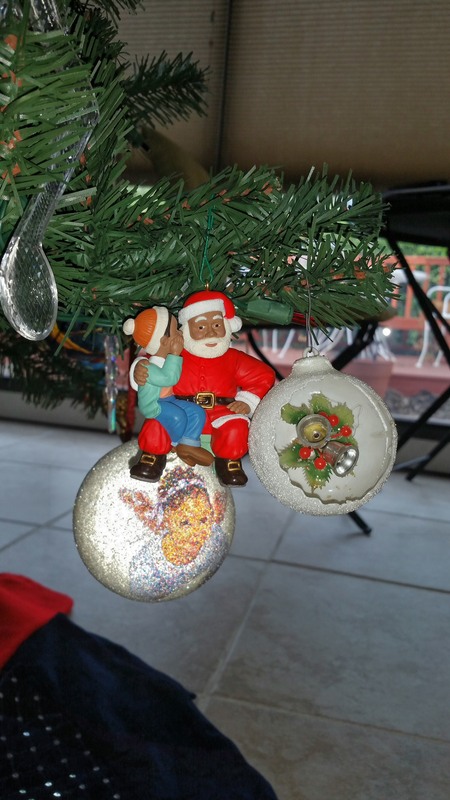 Every year my friends change the look of their tree–changing color schemes and decorations. My oldest daughter’s tree is one with every ornament placed perfectly, and the color of the season is one that she has stressed over since last Christmas. They call my tree, the hamdascam tree which is their made up terminology meaning hodgepodge. 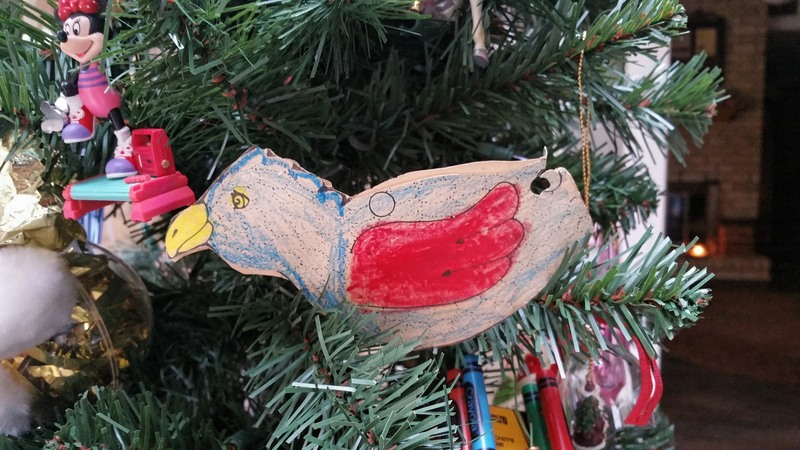 My oldest relegates her son’s decorations that he has painstakingly made at school to my tree, but we both love it. 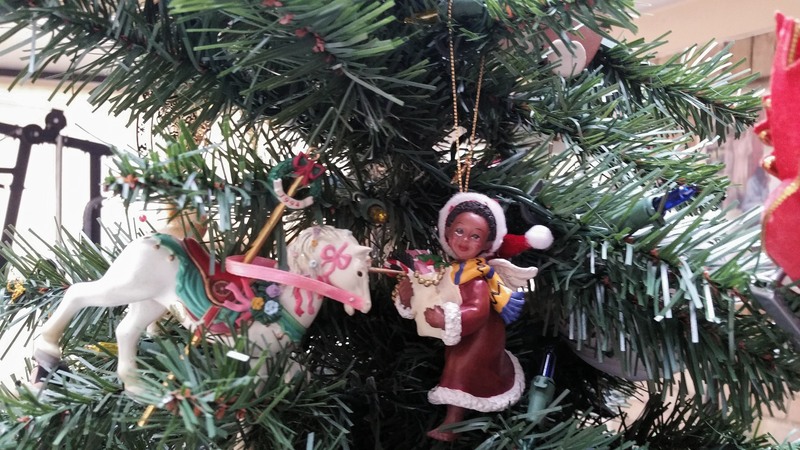 The decorations on my tree are some of my children’s favorites. 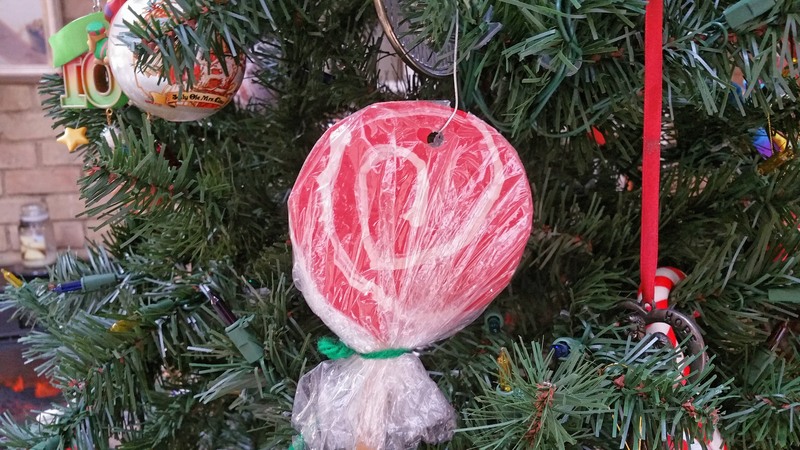 They may talk about them, but each year they look for “their” ornament–the ones they made in school. It is theirs and they must put it on the tree. 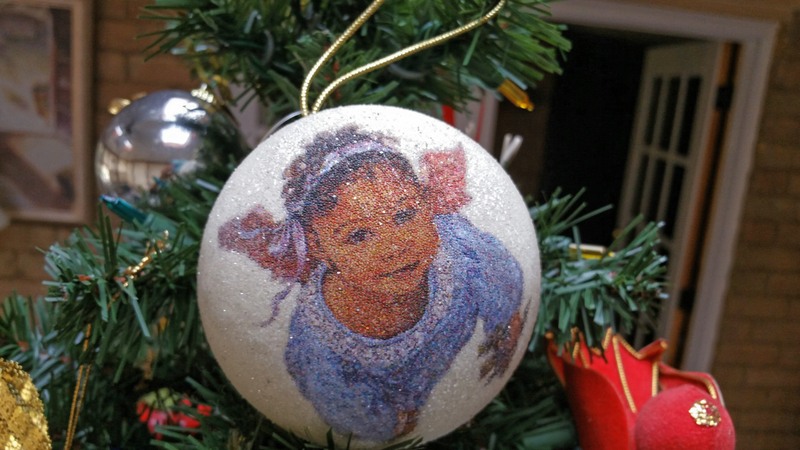 When our youngest was in the Coast Guard, she never made it home for Christmas day, but I always took a picture, putting her ornament on the tree. 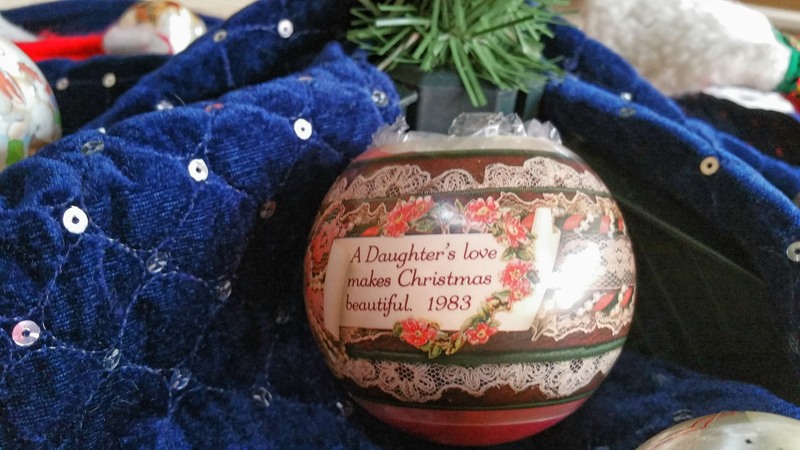 She graduated college on December 23, and on December 24 we picked out a tree (the man gave it to us) and we decorated our hodgepodge tree on Christmas Eve with my decorations that go back to 1978. 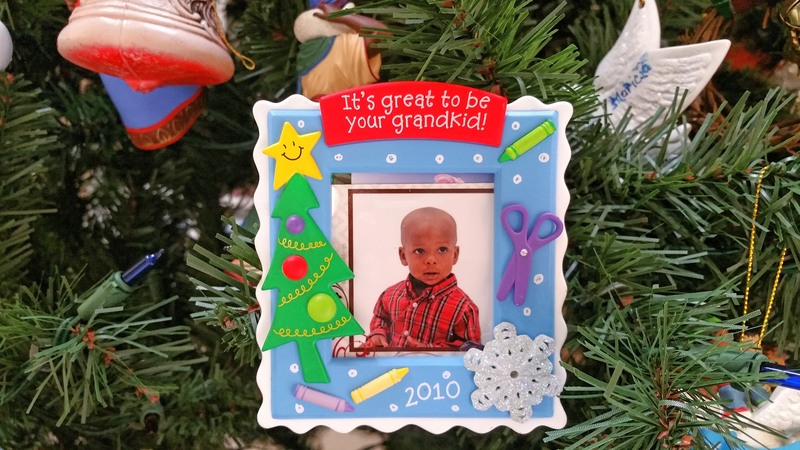 The decorations are not only my children’s and grandchildren, they are my parents. My mom taught third grade, and although it has faded with time I have one that her class gave her in 1988. She loved teaching the third grade, and it makes me smile and warms my heart when I see it. 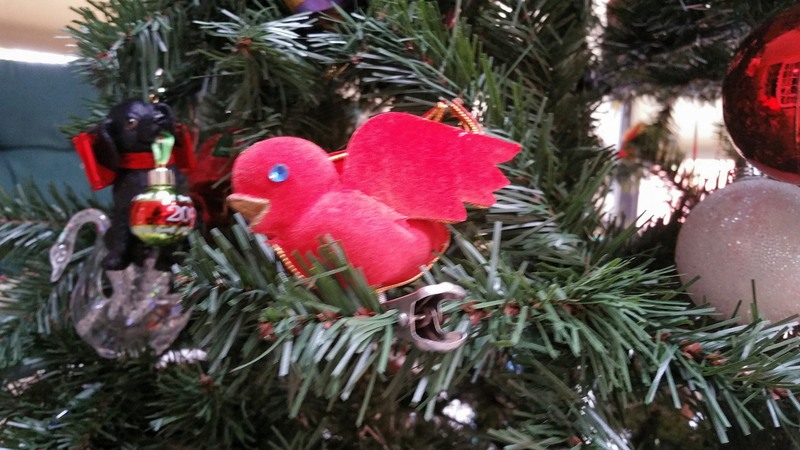 The red birds on the tree go back to 1978, and they are still flying high. There are paper decorations that can no longer be hung so we just kind of set them up in the tree. There are those with school pictures, beautiful angels and even the Dallas Cowboys and President Obama and Vice President Biden make my tree. There are a few that have lost a limb or two over the years, and some that we just lay around the tree, but they are all loved by my family and me. They remind me of Christmas past all the way back to Della Lane in Longview, Texas. As Stevie Wonder would sing “one little Christmas tree”… To some it is a hodgepodge, but to me it’s all about family. Have a Merry Christmas, Happy Hanukkah, Happy Kwanzaa and Happy Holidays–remember “thisisyourbestyear”. Love this! 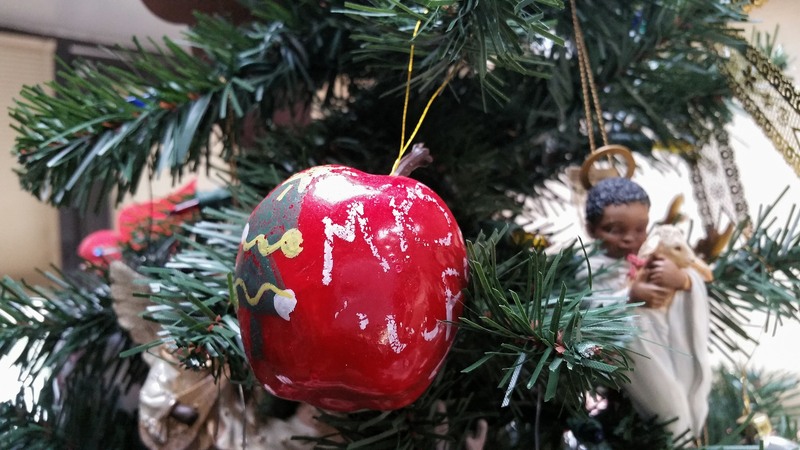 Just last year I gave all the ornaments that my Mom had bought for my children over the years plus the ones they made themselves to each of them for their tree. And they cherished the memories! Great article and happy holiday to you Best Year. Thanks for reading. My children fuss but they love putting up the tree. Have a wonderful Christmas and remember “thisisyourbestyear”. The best of Christmas to you! The best to you. Thanks for reading and remember “thisisyourbestyear”.